During his State of the State address in January, Governor Scott Walker touted an agenda for healthcare called “The Healthcare Stability Plan.” A significant aspect of the proposal included a proposal for the state to utilize and submit a State Innovation Waiver to the federal government. On Thursday, April 19, the Walker administration announced it has submitted the waiver for approval. The waiver is made available by the Affordable Care Act to create a state-based reinsurance program. According to the administration, if approved by the federal government, it will impact the affordability and stabilize the private health insurance marketplace for nearly 200,000 Wisconsinites who purchase insurance on Healthcare.gov. Similar waivers have been approved in Alaska, Minnesota, and Oregon. The waiver seeks to create a $200 million reinsurance program. According to reports, the program will cover approximately 50 percent of medical claims between $50,000 and $250,000. 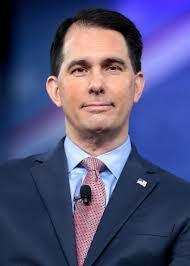 Walker told the media the program could decrease monthly premiums by 5 percent next year. He also indicated confidence in the federal government approving the waiver. As far as paying for the program, Walker told the media a majority of the cost, $166 million, would be incurred by the federal government while the state plans to contribute the other $34 million. As of this writing, there is no word on when the federal government may approve or deny the waiver.